I find this to be quite amusing really… Apple has been long filing one suite after another in multiple countries accusing samsung of copying their products design while Samsung of course keeps denying and proving otherwise. 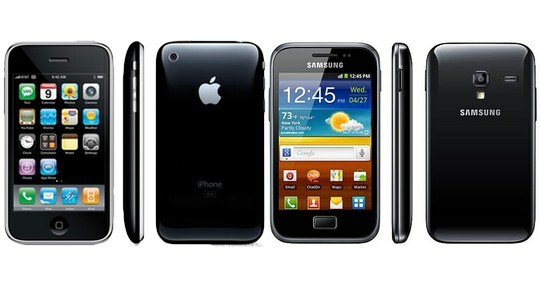 However, Samsung just released a new phone called the Galaxy Ace plus which turned out to be an astonishing almost exact copy of the Apple’s iPhone 3GS!! Samsung are either completly out of their minds or just simple want to give Apple the finger!